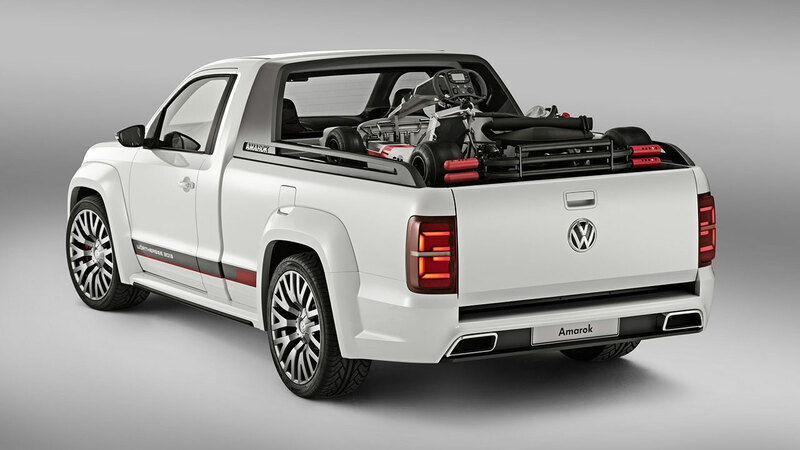 Volkswagen Commercial Vehicles has wowed the crowds at the annual GTI enthusiasts’ meeting on the shores of Lake Wörthersee in Austria with an Amarok Power-Pickup concept featuring a 3.0-litre V6 TDI engine with a power output of 272 PS and 600 Nm of torque. 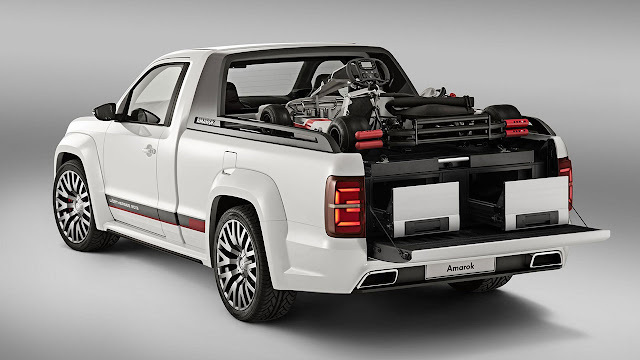 The Power-Pickup, based on an Amarok single cab, is designed as a rolling workshop to carry spare parts, tools and race equipment, with performance to take it from standstill to 62 mph in 7.9 seconds in conjunction with an eight-speed automatic transmission and permanent 4MOTION transmission. 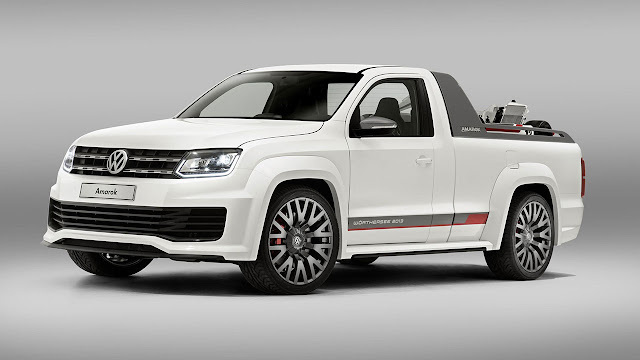 The striking exterior design features widened wheelarches to accommodate 22 inch alloy wheels, 80 mm lowered suspension, bi-xenon headlights with chrome surround and a chrome grille plus an enlarged lower air intake. At the rear there is also a carbon fibre diffuser and dual exhausts, plus tinted taillights and red, white and black side decals. 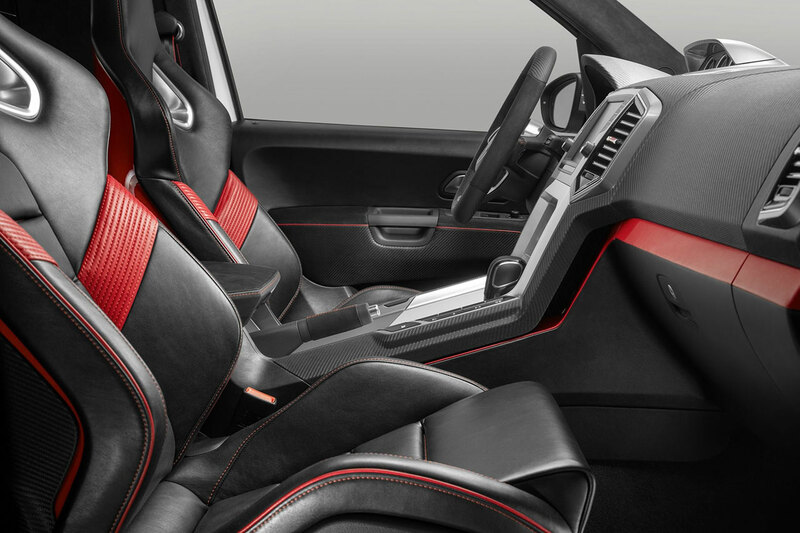 Inside, the dashboard, door trims and exclusive Nubuck leather sports seats have a black, red and white colour theme. In-car entertainment is supplied via an infotainment system with an eight-inch touchscreen and 500 watt subwoofer.